On European funding, Airbus and Software. A couple of weeks ago Vinnie had a somewhat more gentle dig at European technology industry too. The Airbus for the European IT Industry is what we need,” says the president of Bitkom, the leading high-tech industry association in Germany.You keep funding that, Europe. In fact, we would love to lease Airbuses and send our folks from Washington to Brussels so they can help you design and grow the program. That way it would also keep them away from our thousands of technology entrepreneurs. Our preferred way of delivering technology innovation. I’d like to raise several points in response to Vinnie and Mike. 1. The assumption the US software industry is somehow subsidy free ignores the history of the software industry, and the huge role that the US government plays in funding software research and driving demand in the US. Check out this book by Martin Campbell-Kelly, From Airline Reservations to Sonic the Hedgehog: A History of the Software Industry, MIT Press, Cambridge Mass., 2003. Herewith a quote..
2. The president of BITkom knows a whole lot more about software entrepreneurship than the quote implies. August-Wilhelm Scheer is the founder of the company that builds ARIS, one of the leading German software companies and a major global player in the BPM market. He is an entrepreneur, not a bureaucrat. 3. 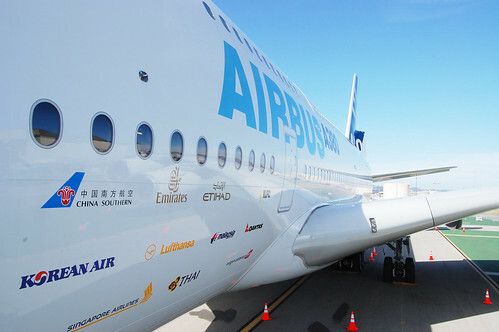 His main point about the power of Airbus not about subsidies or government meddling, but that Airbus iis a joint Anglo-French company, and that both countries could be more successful through deeper commercial collaboration. Scheer knows, as he is also a professor at Saarbrücken University, close to the french border. 4.I don’t have a lot of details on the French Quaero project and the background for the split but to call the Theseus project a Google rival is missing the main point of this project. But I guess it makes a neat newspaper headline. This is what the Theseus project is actually about. So the Theseus project is not intended to develop a new Internet search engine to compete with Google and which could be used in every situation that crops up in the digital data world. The data contained on the Internet are simply far too heterogeneous and chaotic for that. What’s more, at the end of the project, there won’t even be an Internet platform – probably not even a physical product, says Thomas Huber, press spokesperson for the Theseus project. Instead, Theseus aims to create standards for semantic searches within specific areas. With partners from the business community, notably Siemens and SAP, and research associations such as the Fraunhofer Gesellschaft and various universities, Theseus therefore consists of subprojects which focus on specific application scenarios. As a spokeswoman from the Federal Ministry of Economics and Technology explains, these have been selected in advance by companies and the Ministry itself on the grounds that they appear to be particularly promising. The project is essentially about semantics, standards and the longer term future of the web, and it hopes to drive both fundamental and applied research. Technology Research projects require funding. VC’s don’t fund primary research, and very few companies can afford to take the long term focus that it requires. Let’s take a well known example, a research project that evolved over about 20 years. The work started in the the late 1970’s and in 1987 a research alliance was formed between Erlangen-Nuremberg University and the Fraunhofer Institute for Integrated Circuits within the framework of the European Union-funded EUREKA project EU147. This led to the MP3 format. No EU funding, no IPod, I guess. A while ago I argued that Europe needs to invest more in pure software research. It is about time that the governments in Europe started to invest in the future of IT rather than just subsidizing cows. Here in Europe I reckon governments need to do two things: fund research and help create an environment where smart people can build businesses with those innovations. The German government funding this research is a step in the right direction, but governments in Europe also need to do a whole lot more to encourage an environment to exploit those innovations. Sometimes this means getting out the way. Disclosure: As part of my academic work at the University of Karlsruhe, I have a connection with the project. Author Thomas OtterPosted on March 17, 2008 March 17, 2008 Categories Germany, IT Related, quaero, search, softwareTags google, theseus3 Comments on On European funding, Airbus and Software.